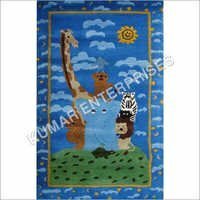 As a kids carpets manufacturer, supplier and exporter, we are providing various colorful and patterned theme printed carpets to accentuate learning for young kids. 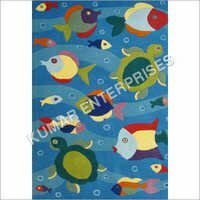 Printed kids carpets are an excellent medium to develop an informative as well as fun filled environment for young children. These are designed intricately by our skilled craftsmen using different themes, color palette, patterns and designs. 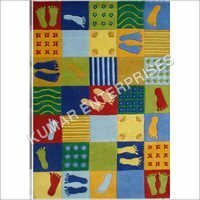 Printed kids carpets and printed kids rugs can be used as play rugs or carpet for classroom, playroom or even a library. Besides, these can be customized in different shapes as per the requirements to add more fun to child's room. 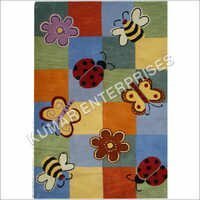 Weaved using high quality wool, nylon or silk, these carpets are more durable and comfortable to suit to kids decor. Available in neutral colors dark or natural colors, theses carpets can be matched perfectly with the walls and interior.